ATI is dead! Long live AMD! 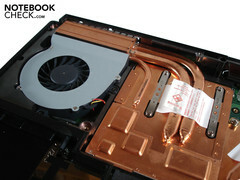 After recently unveiling the new GeForce GTX 485M, Nvidia has shown who the boss is in the notebook GPU department. Now it's up AMD's new Radeon HD 6970M high-end graphics card to jump through some hoops and try to prove it measures up. In the contest for best notebook performance, there's been a lively ongoing fight for years now between the two GPU giants Nvidia and AMD (formerly ATI). While Nvidia has gotten in a few good hits in recent months with its powerful GeForce 400 series (Fermi architecture) and even outdid itself with the GeForce GTX 485M (see review), AMD is now putting its new top model, the Radeon HD 6970M, in the ring. So, how does this high-end graphics card fare against other AMD GPUs as well as the competition from Nvidia? Read the following comprehensive review to find out—the central focus of which is, of course, the graphics card's performance potential. To test the Radeon HD 6970M, we've placed it inside the well-known W860CU Barebone from Clevo (also see DevilTech Devil 9700 DTX or mySN XMG P500 PRO), kindly provided to us by the canadian company Eurocom. The 15.6" and only 3.5 kg heavy desktop replacement is known as the W860CU Cougar and is currently available starting at 1034 Euro. 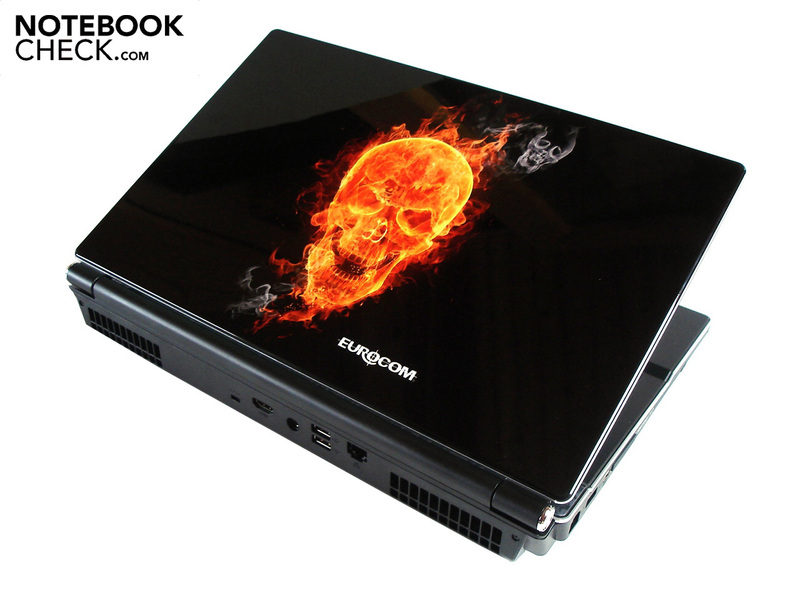 Eurocom has fitted the notebook with 4 GB DDR3 RAM (2x 2048 MB), a quick 7200 RPM HDD from Seagate and a powerful quad-core processor from Intel (Core i7 740QM). The W860CU Cougar sadly didn't have the good fortune to be equipped with a new Sandy Bridge processor. Our test notebook, unfortunately, has a tough problem to struggle with on its hands: right after starting many of the tests, the screen simply turned black, requiring a reboot each time. The reason for this is that Eurocom fitted the notebook with the wrong cooling system and the Bios was actually a beta version, due to which the laptop quickly heated up to a critical temperature. With the correct cooling components in place, the situation improved substantially. Nevertheless, with high resolutions and intense graphics-rendering, the screen still went went black quite often. According to Eurocom, the current Bios version clears up this problem. After numerous attempts, we did finally succeed in running all the planned benchmarks on the test notebook. 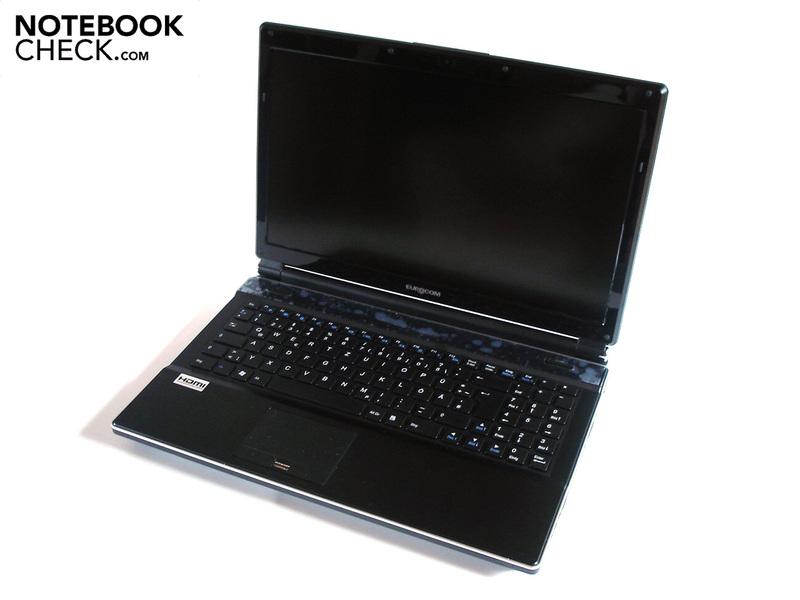 Accommodating the AMD graphics card will largely depend on Eurocom's initiative since this is not supported in Clevo Barebone notebooks. The Radeon HD 6000M series represents the continuation of AMDs extremely popular Radeon HD 5000 series. The new 40nm top-level Radeon HD 6970M goes by the alias "Blackcomb XT" and is superior to the Radeon HD 5870 in almost every way. Instead of 800 Unified Shaders and 1024 MB of GDDR5 VRAM, the Radeon HD 6970M has 960 Unified Shaders (+20%) and offers a generous 2048 MB of video memory. The memory connection has likewise doubled, from 128bit to 256bit. The result: The memory read and write rate has nearly doubled from 64 to 115.2 MB/s. The clock rates compared to the Radeon HD 5870 have meanwhile dropped: instead of 700 MHz (core) and 1000 MHz (memory), the new Radeon HD 6970M runs at 680 MHz (core) and 900 MHz (memory). A good sign, but whether it brings with it actual improvements in practice remains to be seen only after running numerous benchmarks. A substantial downside of the Radeon HD 6970M is its high energy consumption: Eurocom claims 75-100 watts, just about the same as the GeForce GTX 485M. 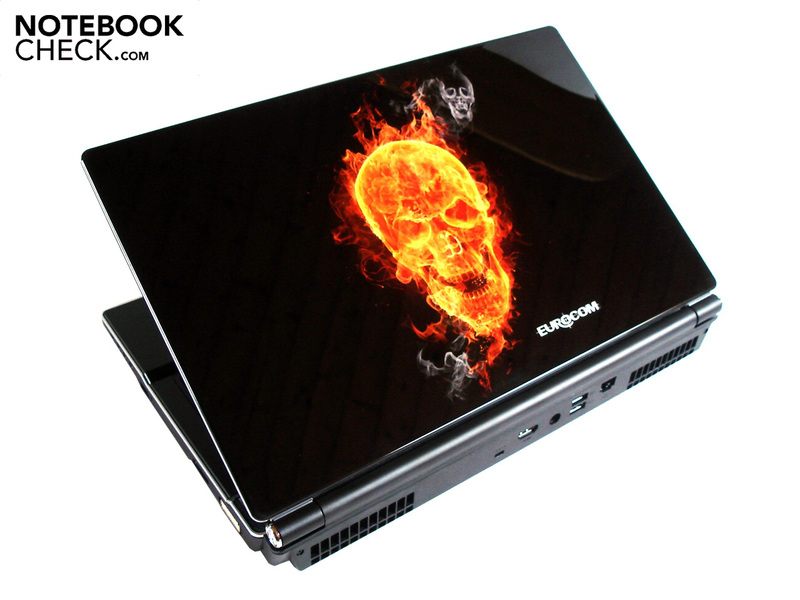 Eurocom installed the driver version 8.800.0.0 for the GPU in the test notebook. As you can see in the following screen shots, the Catalyst Control Center (CCC) has a new design, in which differences to the old version can already be seen in the layout itself. If you're feeling bold and curious, you can tinker with the overclocking function "Overdrive", available in CCC. Using the tool GPU-Z, we were able to gain a closer look at the clock rates. While the Radeon HD 6970M performs at 680 and 900 MHz respectively under heavy use (as previously mentioned), the graphic card is downsampled to 100 and 150 MHz respectively in idle mode. Although AMD doesn't quite offer as many features as Nvidia in its graphics cards, the Radeon HD 6970M does have several interesting tricks up its sleeve. • AMD HD3D Technology: Those interested in the 3D rendering of pictures, films or games had no way to go but Nvidia 3D Vision until now. AMD doesn't want to pass up one of the hottest trends in entertainment any longer and has therefore fitted the Radeon HD 6000M series with HD3D technology. HD3D is on an open standard and relies on the hardware of other companies. According to reviews, HD3D currently performs quite poorly, likely because the list of 3D displays that support this technology (Passiv-Pol) is very short. However, there should be 120-Hz monitors with AMD compatibility popping up in the future, which—like with Nvidia's 3D Vision—allow for 3D rendering based on the shutter-glasses technology. • AMD EyeSpeed Technology: The formidable EyeSpeed supposedly contributes to higher performance and better picture quality in customized applications by having the processor and GPU work together, thus profiting from the advantages of each. AMD claims smoother multitasking and fluid HD playback. • AMD Eyefinity Technology:The Radeon HD 6000M series contains the second generation of relatively well-developed multi-monitor technology. Eyefinity theoretically allows for the use of up to 6 monitors with one GPU, which not only increases the amount of screen space but also supposedly pushes the gaming experience to a new level. In our experience, though, notebooks are typically incapable of working with more than two monitors at once. • CrossFireX: Using CrossFire technology allows for two graphics cards—like already seen in the past—to run in tandem, optimally leading to a doubling of performance. In addition to the high energy consumption and high capacity for cooling required, another disadvantage would be the propensity to a slightly choppy performance particularly noticeable at a screen refresh rate of under 30 fps. 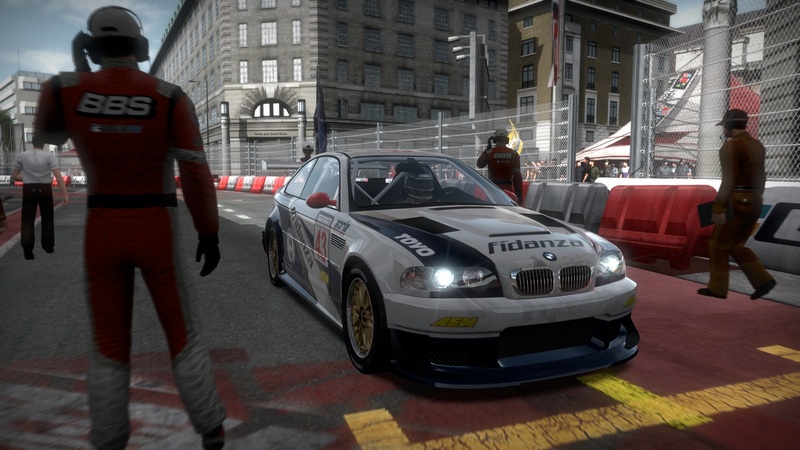 • DirectX 11: The Radeon HD 6000M series is AMD's second graphics card generation with support for DirectX 11. While multi-threading improves performance by making better use of the CPU cores, tessellation contributes to a detailed and smooth picture. Before we delve into the synthetic graphics benchmarks and real game tests, something important to keep in mind: Since its greatest competitor from Nvidia, the GeForce GTX 585M was equipped with a powerful Intel Sandy Bridge CPU, the differences in performance measured between the GeForce and our Radeon HD 6970M should not be considered the final argument in the matter. 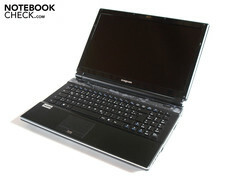 The comparison to the GeForce GTX 460M, GeForce GTX 480M and Radeon HD 5870 did not present the same hardware disparity because previously reviewed notebooks—just like the Eurocom W860CU Cougar—were fitted with i7 processors of the "old" Clarksfield line. The 3DMark 06 benchmark has been on the market for quite a while and therefore presented no challenge to the Radeon HD 6970M. In the standard resolution of 1280 x 1024, the Eurocom W860CU Cougar (Core i7-740QM) managed to rack up an astounding 14047 points. That's a whole 6% more than the GeForce GTX 480M of the DevilTech Fragbook DTX (Core i7 720QM, 13273 points) was able to muster and even 12% more than the Radeon HD 5870 of the Medion Akoya X7811-MD97327 (Core i7 720QM, 12553 points). Because 3DMark 06 does not give separate scores for GPU and CPU, where the CPU plays a relatively large role, making the coupling of Core i7 2630QM and GeForce GTX 485M far superior to our hardware combo—the mySN XMG P501 earns 17817 points (+27%). Even though Futuremark has come out with the new DirectX 11-based 3DMark 11, the older DirectX 10-based 3DMark Vantage still keeps many current graphics cards in their place. This is not the case for the Radeon HD 6970M, however, which in a resolution of 1280 x 1024 scored 11645 points for the Eurocom W860CU Cougar. With scores of 7879 and 7616 points, the GeForce GTX 480M (DevilTech Fragbook DTX) and the Radeon HD 5870 (Medion Akoya X7811) trail a good deal behind. This means the Radeon HD 6970M processes data about 50% more quickly. As opposed to the results of 3DMark 06, the Geforce GTX 485M (mySN XMG P501) only manages to retain a slight lead here, earning 12191 points (+5%). We tested the DirectX 11 performance of the Radeon HD 6970M with the highly resource-demanding benchmark Unigine Heaven 2.1. The high level of tessellation requires even high-end graphics cards to give it all they've got, although Nvidia's GeForce 400-series GPUs have done comparatively better in the past. The Radeon HD 6970M manages to do fairly well with high details settings and normal tessellation at a resolution of 1280 x 1024, reaching a smooth refresh rate of 33.0 fps. The GeForce GTX 480M performs at a comparable level, earning the Clevo D901F Barebone with a desktop CPU (Core i7-940) a respectable 33.7 fps. GeForce GTX 460M and Radeon HD 5870 trail by an expectedly large amount, leading the Medion Erazer X6811-MD97624 (Core i7-740QM) and the Asus G73JH-TZ014V (Core i-740QM) both to achieve a mere 24 fps. In the gaming benchmarks, we once again pitted the Radeon HD 6970M against the top model from AMD as well as the current high-end contender from Nvidia. Whereas the measurements for the GeForce GTX 485M came from the mySN XMG P501 (Core i7-2920XM) and those for the GeForce GTX 480M from the DevilTech Fragbook DTX (Core i7-720QM), we've chosen the data for the Radeon HD 5870—depending on the particular game—either from the values earned by the DevilTech Hellmachine (Core i7-720QM) or the Deviltech Devil 9700 DTX (Core i7-820QM). In order to minimized the influence of the CPU on the results, we chose (very) high graphics settings as well as a full-HD resolution 1920 x 1080 for the gaming tests. 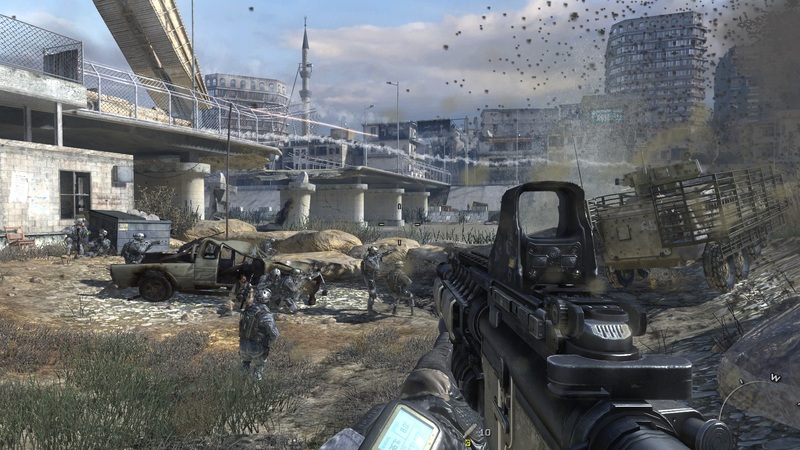 First-person shooters continue to enjoy an incredible level of popularity and the newest Call of Duty offshooth, Black Ops, is the epitome of this phenomenon. In the first 24 hours alone after its release several million copies were purchased online. In terms of pirated downloads as well, it ranks in number one in 2010. 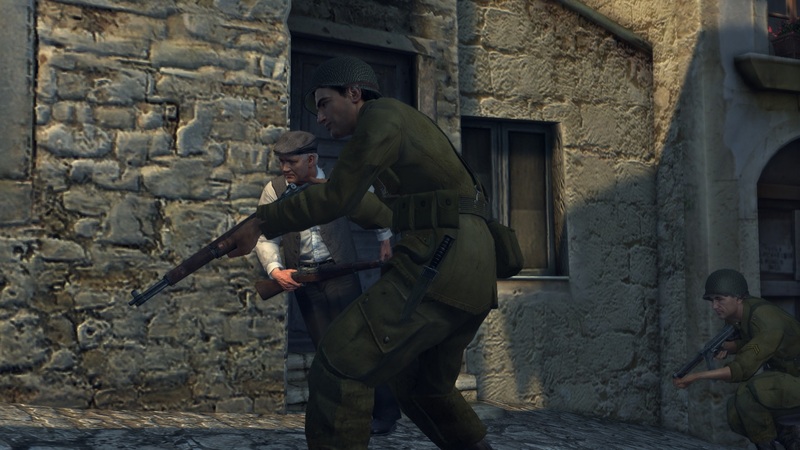 In light of a certain problem, however, the release of Black Ops seems a bit premature. 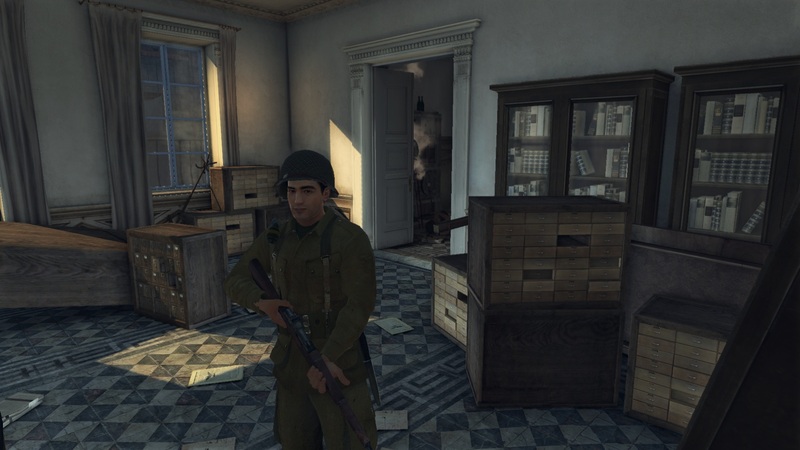 On a variety of systems—independent of the graphics settings—the game lags quite badly for a bit, causing the picture to become very choppy fairly often. 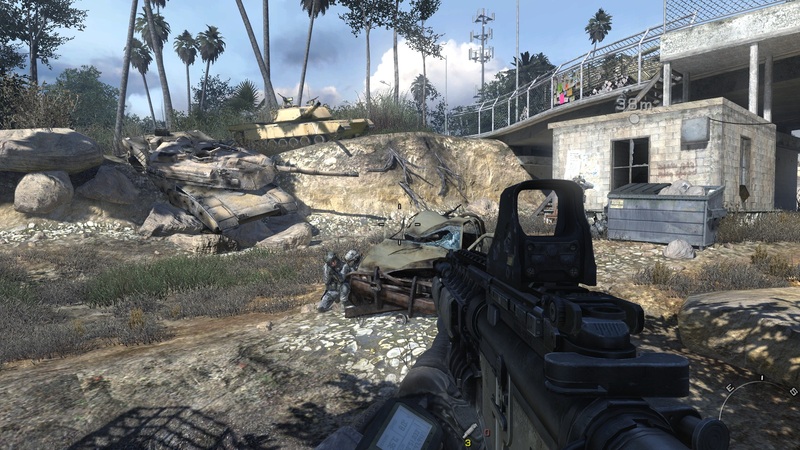 Black Ops is based on the older, fairly rough Modern Warfare Engine, which even mid-grade GPUs can run with high detail settings. To really see what the Radeon HD 6970M can do, we set the graphics to very high, with 4x antialiasing and 8x anisotropic filtering on. Even with these demanding settings, the Eurocom W860CU Cougar managed an excellent 61.9 fps. The GeForce GTX 485M tops even this at 71.4 fps (+15%). Despite the densely detailed world of Mafia 2, the long awaited sequel didn't quite meet expectations. The game scores some points through with its built-in benchmark, with which we tested its performance with high detail settings on, 16x AF at a resolution of 1920 x 1080. 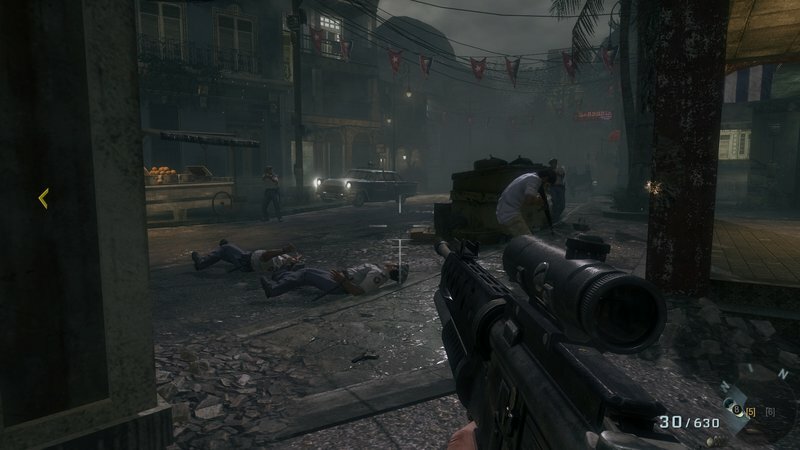 This third-person shooter doesn't present the Radeon HD 6970M any problems. 52.3 fps leaves nothing more to be desired. The GeForce GTX 485M performs better at 58.3 fps, but this 11% lead makes no difference to the naked eye. The GeForce GTX 480M (40.9 fps) and the Radeon HD 5870 (42.1 fps) fall a good deal back, however. The extremely successful real-time strategy game from Blizzard made it into the top ratings worldwide. 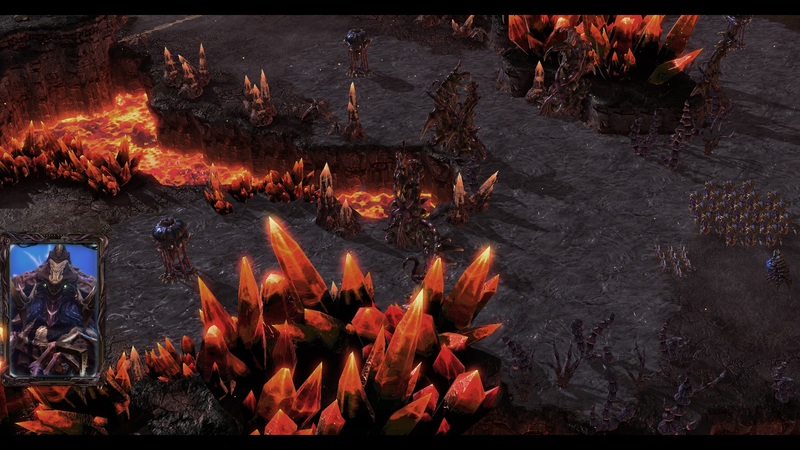 Starcraft 2 essentially has moderate hardware requirements, but the more units on the screen at one time, the stronger the hardware the game demands. 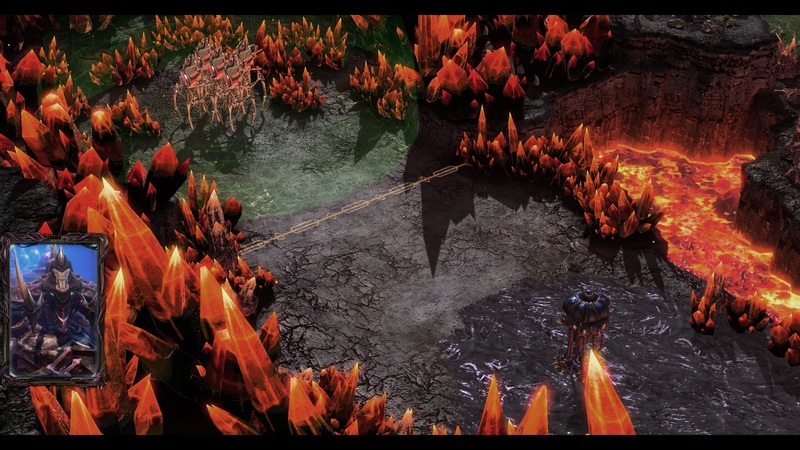 To take into account the hardware requirements of the later levels, our benchmark consisted of the demanding Intro "For the Swarm". The resolution was set to 1920 x 1080 and the level of details set to "ultra". 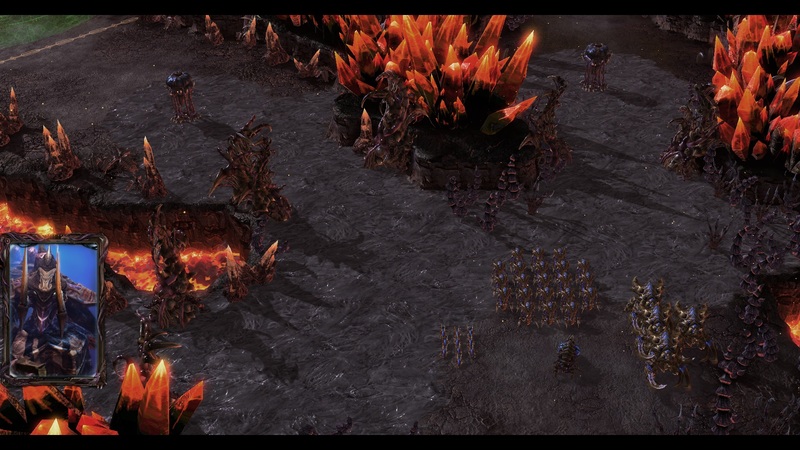 Starcraft 2 is one of the few games, in which the GeForce GTX 485M was outdone by the Radeon HD 6970M. At 56.5 to 58.0 fps, the difference is fairly small. The difference to the GeForce GTX 480M turned out not to be quite as small 36.8 fps, and the Radeon HD 5870 didn't fare much better at 37.2 fps, making both refresh rates about a third slower than for the HD 6970M. 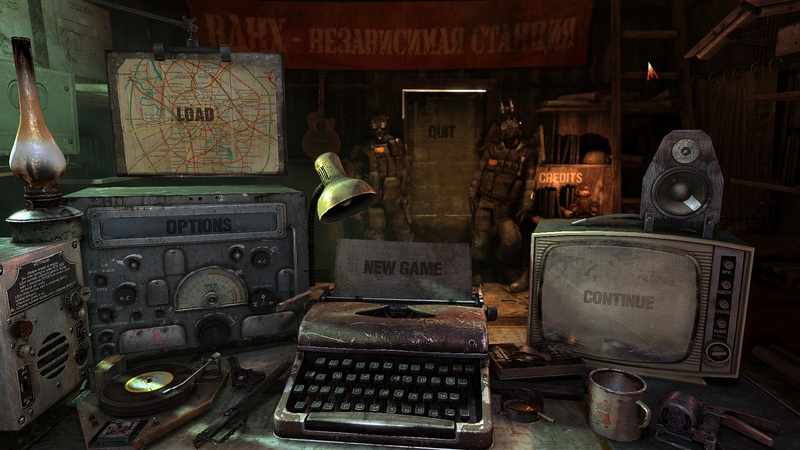 The densely detailed first-person shooter from Ukrainian developer 4A Games is inspired by Dmitry Glukhovsky's novel by the same name. The game stands out not only through its sharp textures and high level of detail, but also through its incredibly high toll on hardware. With high detail settings on, in DirectX 11 mode, AAA (analytical antialiasing), 4x AF and at a resolution of 1920 x 1080 even dual-GPU components like the GeForce GTX 480M SLI failed miserably. It should come as no surprise that the Radeon HD 6970M ran the start of single-player mode at a slow 18.0 fps. The GeForce GTX 485M has an even harder time. 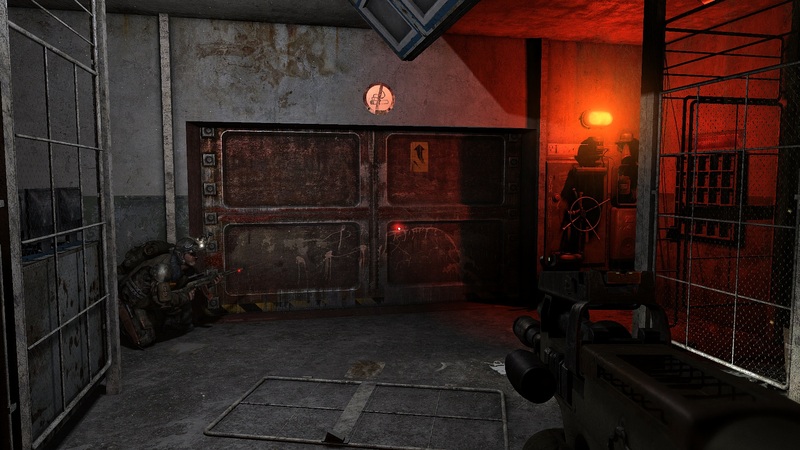 At 16.1 fps (-11%) there's no fun in delving into Moscow's subway system. 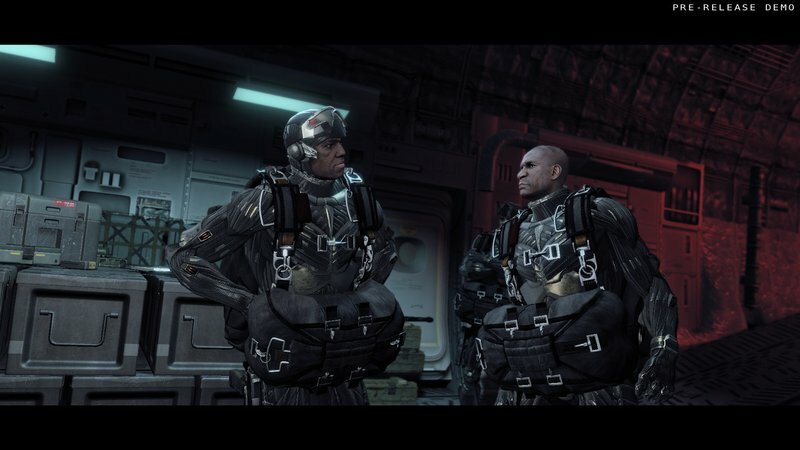 The GeForce GTX 480M (11.8 fps) and Radeon HD 5870 (10.9 fps) are likewise completely overwhelmed by the game. 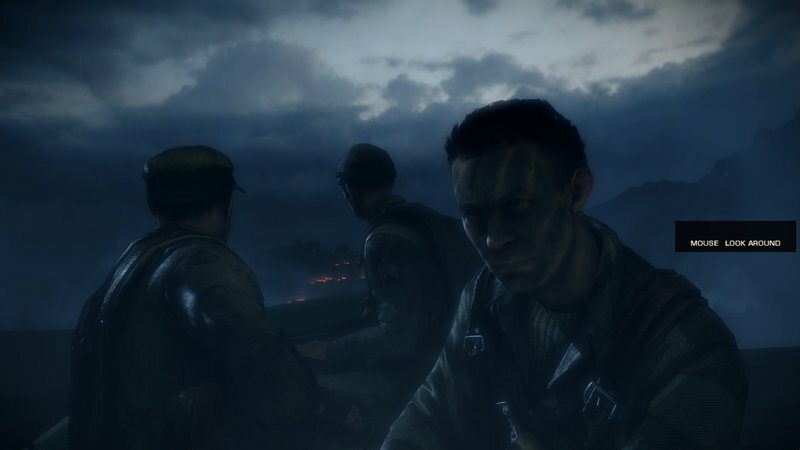 The current Battlefield offshoot does an excellent job of mixing tactical elements and action-filled gameplay in the multiplayer mode. 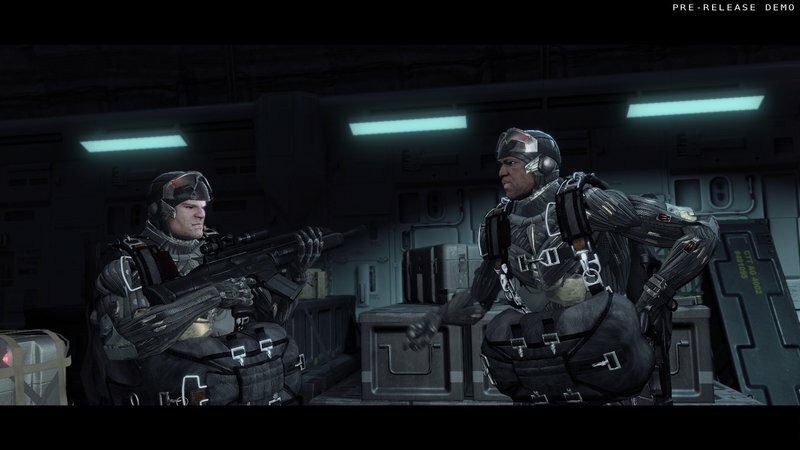 The single-player mode isn't quite as appealing considering Call of Duty does a better job of delighting players with spectacular cut-scenes and smooth-functioning scripts. 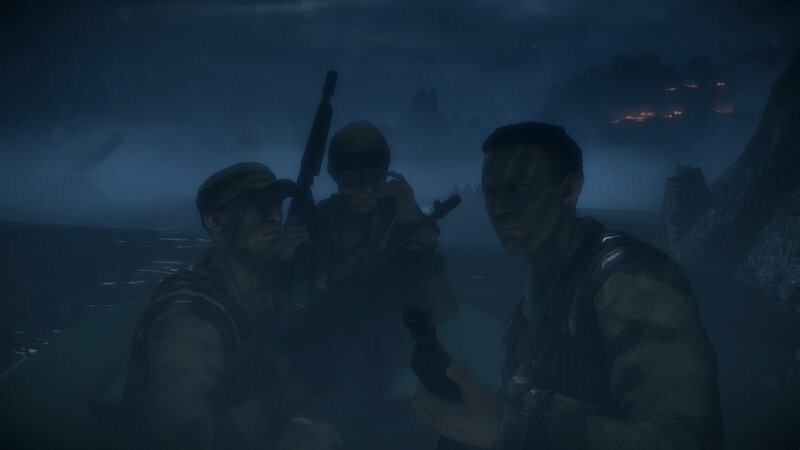 For the sake of consistent stress on the hardware, we chose the cinematographic boat ride at the beginning of the single-player campaign for our benchmark. High details, 4x AA, 8x AF and a resolution of 1920 x 1080 produced a smooth refresh rate with very few graphics cards so far. While Radeon HD 5870 managed a decent 33.1 fps, the GeForce GTX 480M achieved a smooth 38.0 fps. The Radeon HD 6970M and the GeForce GTX 485M both perform a good deal faster—47.6fps and 49.5 fps respectively—make for uncommonly fluid game flow. 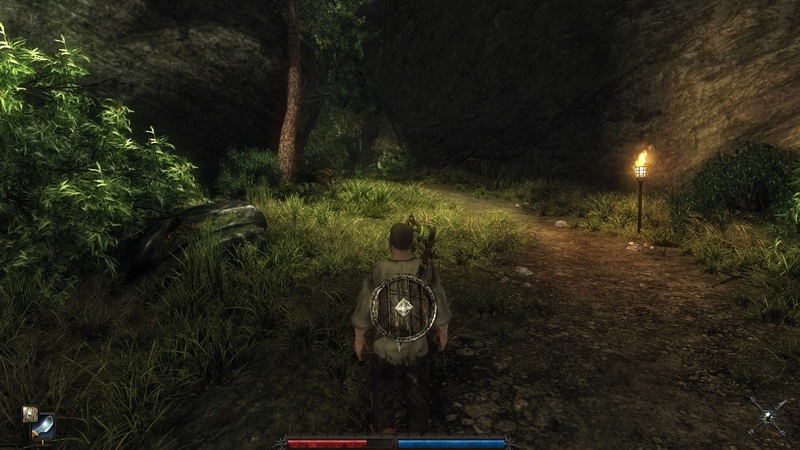 A large group of players in one game should present the Radeon HD 6970M no trouble at all. 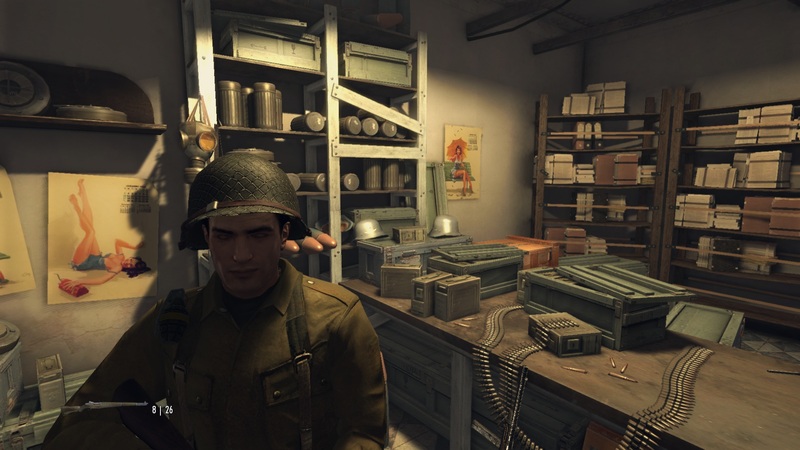 First-person shooters like this, which delight both in the single-player as well as multiplayer modes, are a rarity. 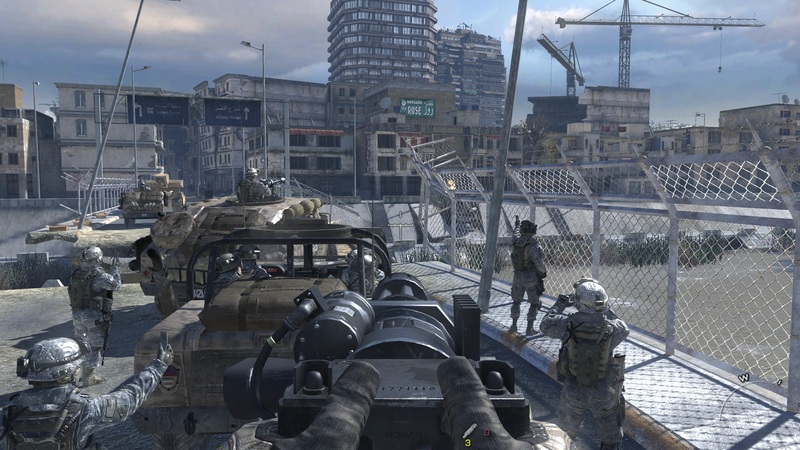 Modern Warfare 2 from Call of Duty creator Infinity Ward is an oldie but goody with a not-all-too-new graphics engine that inspires only the slightest of yawns from current high-end graphics cards. We therefore carried out our several-miniute-long benchmark sequence with the game set to high details, 4x AA and a resolution of 1920 x 1080. 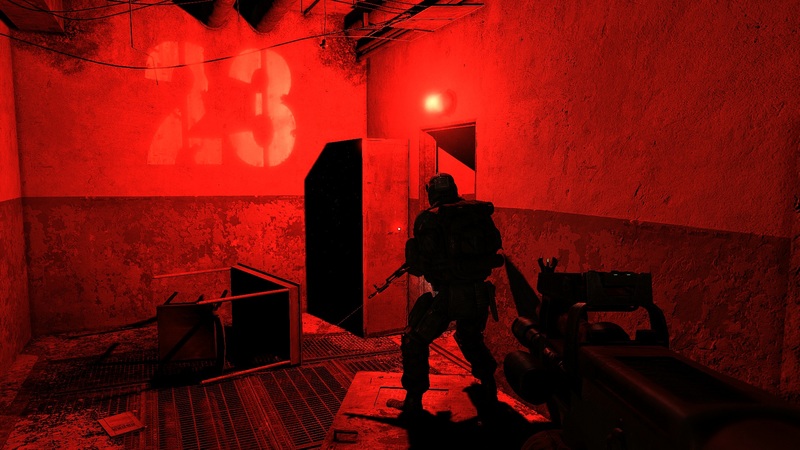 In light of the average refresh rate of 50.7 and 47.9 fps for the Radeon HD 5870 and GeForce GTX 480M respectively, either of these is more than enough to enjoy any of the intense firefights in the game. The Radeon HD 6970M reaches an even higher 67.1 fps, but the crown still belongs to the GeForce GTX 485M (76.3 fps). After the copious amount of bugs found in Gothic 3 sparked a legal battle between developer Piranha Bytes and publisher JoWood, JoWood ended up holding onto the license and Piranha Bytes abandoned ship. 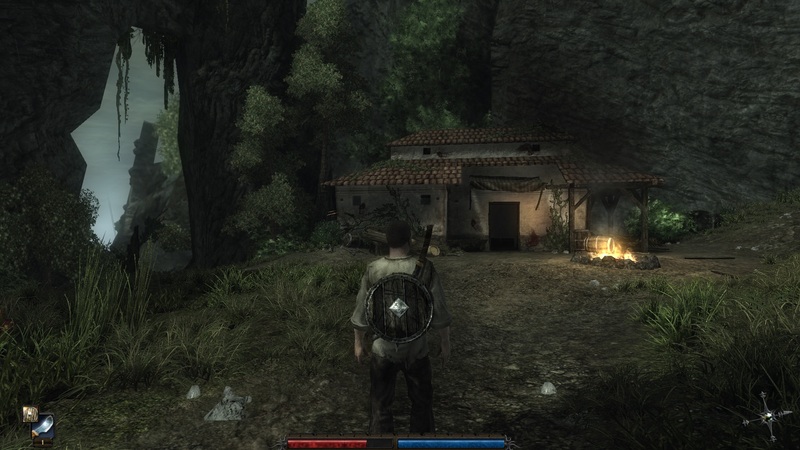 The creators of Gothic 3 were then left to find shelter with publisher Deep Silver and released the successful sequel (for the most part), Risen, in 2009. Risen doesn't quite offer cutting-edge graphics, but with high details on, 4x AF and a resolution of 1920 x 1080, it still requires some powerful hardware. 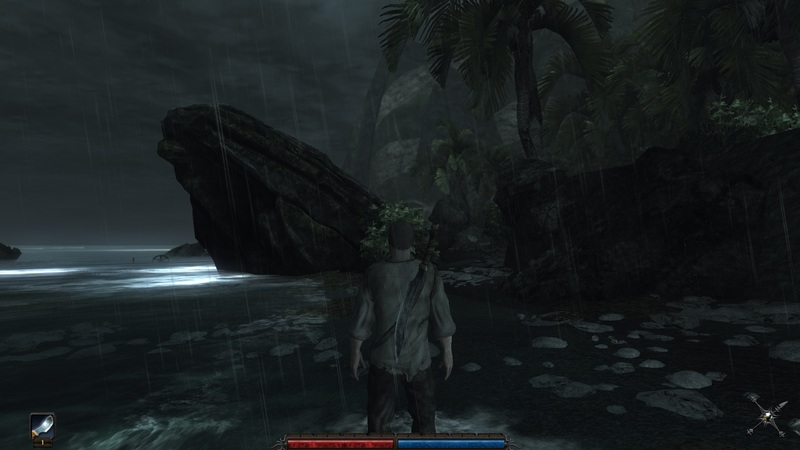 The Radeon HD 6970M reproduces the realistic island setting of Risen remarkably smoothly at an average of 45.2 fps, which most notebooks can only dream of. This result places the Radeon HD 6970M between the GeForce GTX 480M (33.7 fps) and the GeForce GTX 485M (52.7 fps). The Radeon HD 5870 comes in as a close fourth with 31.6 fps. 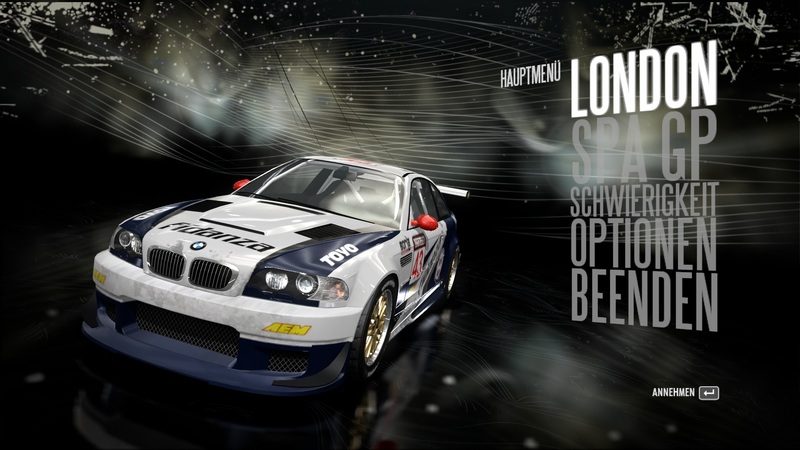 The very realistic Need for Speed Shift has always seemed to have a predisposition for Nvidia GPUs. That is, most comparisons of otherwise similarly-performing graphics cards seem to usually weigh heavily in favor of the Nvidia card. Our benchmark with high detail settings, 4x AA and a resolution of 1920 x 1080 (London circuit) confirmed that this trend will not stop with the release of the Radeon HD 6000M series. Instead of performing at the level of the GeForce GTX 485M (70.7 fps), the Radeon HD 6970M (52.2 fps) refreshes more at the speed of the theoretically less powerful GeForce GTX 480M (52.6 fps). Compared to the older Radeon HD 5870 (41.5 fps), our graphics card manages an improvement of 26%. Picturesque graphics are not only found in first-person shooters. 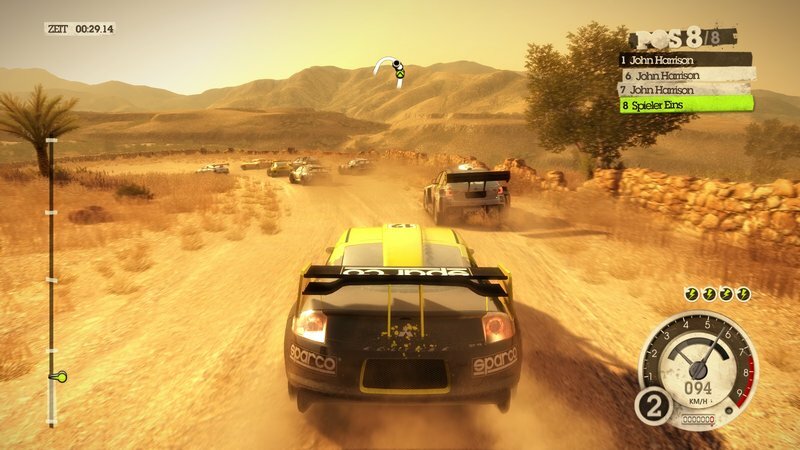 The creator of the racing game, Dirt 2 (Codemasters) has seen to that. The numerous DirectX 11 effects and tesselation dazzle the eyes and produce highly realistic-looking foaming of water. Now that Need for Speed Shift started the trend, Colin McRae Dirt 2 follows suit, tending to perform better with Nvidia graphics cards. 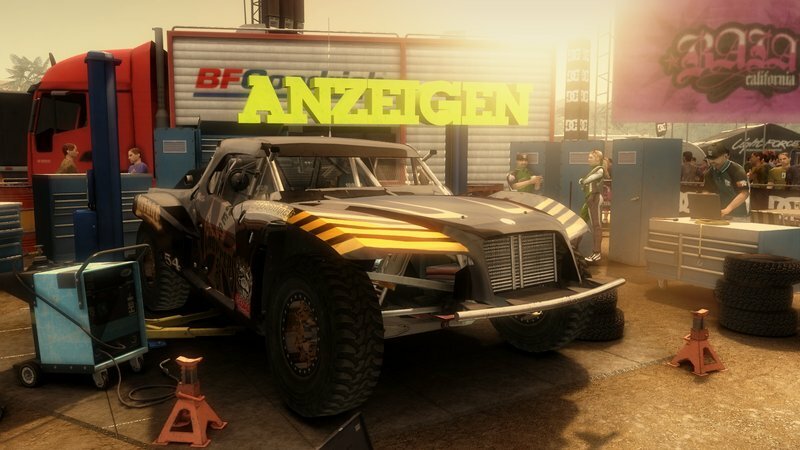 In the built-in benchmark, with very high detail settings, 4x AA and a resolution of 1920 x 1080, the GeForce GTX 485M manages to beat the die Radeon HD 6970M by a substantial 47% (70.3 gegen 47.7 fps). We see the same picture with the Radeon HD 5870 and the GeForce GTX 480M: at 30.9 fps to 46.9 fps, the latter lands a whole 50% ahead. Finally, the Radeon HD 6970M has to take on Crysis. 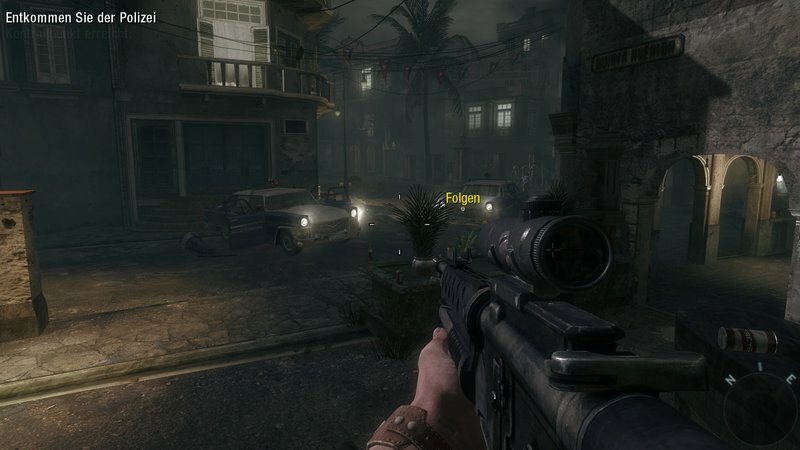 Despite being over three years old, this first person shooter still impresses with its excellent graphics even today. 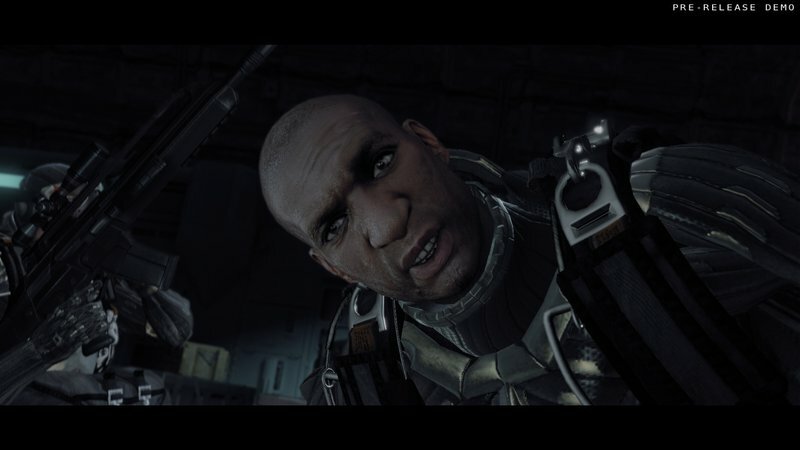 Because of its resource-demanding nature, Crysis could not be left out of our gaming tests. 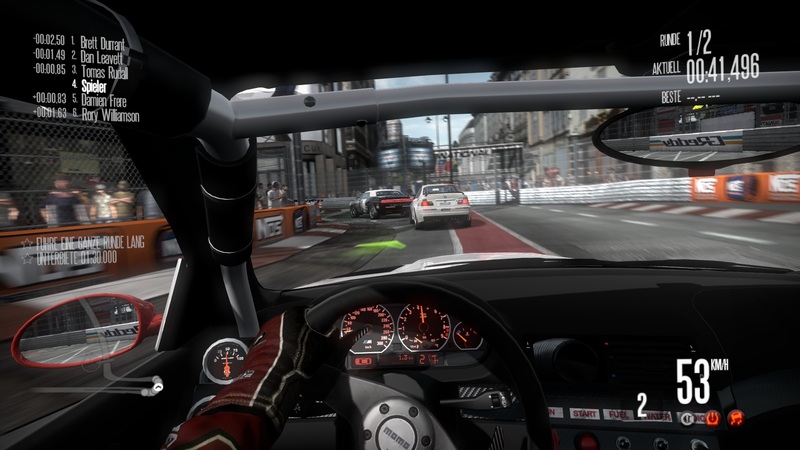 Using the benchmark incorporated in the game, a fluid picture has yet to be reproduced by a single graphics card at very high detail settings and a resolution of 1920 x 1080. Even the GeForce GTX 485M struggles with these demanding settings, producing a not completely smooth 22.6 fps. The Radeon HD 6970M overtakes the GeForce by a whole 9%, earning 24.6 fps—managing a higher value than any single GPU before. The GeForce GTX 480M and Radeon HD 5870, on the other hand, produce a very choppy, unplayable 16.1 fps and 17.1 fps respectively. In addition to the benchmarks named in the text above, the Radeon HD 6970M was subjected to even more tests that you can see in the following chart (to find out the graphics settings just drag the cursor over the corresponding value). Other than that, no further information is provided here. In case you wish to find out more about the performance of various graphics cards, please take a look at our gaming performance chart. 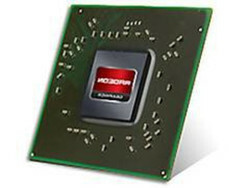 To partially relieve the processor in its task of decoding HD material, the Radeon HD 6970M features a video decoder. The Universal Video Decoder 3 (UVD3)—in addition to formats already suppored by UVD2: MPEG-4, MPEG-2, H.264, AVC, VC-1—now also supports DivX/Xvid (MPEG-4 Part 2) and 3D Blu-Rays (MVC). Our test showed the UVD3 to perform very well in playing back H.264 and VC-1 videos (1920 x 1080), and the CPU load remained at 0% most of the time. A flash video online (1920 x 1080) results in a CPU load of 4%, leaving no room for complaints. Also, the file format has no effect on the clock rates of the Radeon HD 6970M, which ran at a constant 300 MHz (core) and 900 MHz (memory). It's already obvious that high energy consumption will accompany high performance. Under heavy use, the Radeon HD 6970M really shows its greedy nature. 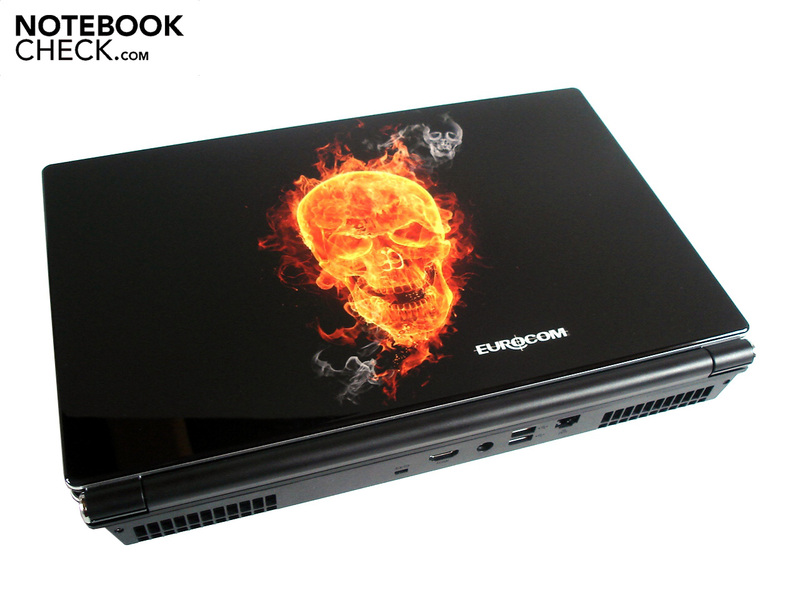 The Eurocom W860CU Cougar (Core i7 740QM) ate up between 131.5 and 182.6 watts during the testing. The Radeon HD 5870 drains substantially less power, e.g. in the MSI GX660R (Core i7 720QM) 117.2 – 150.6 watts as well as the DevilTech Devil 9700 DTX (Core i7 820QM) 124.5 – 165.4 watts. Even the GeForce GTX 480M doesn't consume as much as Radeon HD 6970M, the DevilTech Fragbook DTX (Core i7-720QM) came out having spent 123.0 – 172.0 watts. In idle mode, however, AMD shows an improvement in energy efficiency, 34.5 – 46.6 watts (notebook as whole) is fairly reasonable. Even the Radeon HD 5870 (48.0 – 52.1 watts in MSI GX660R & 53.9 – 61.9 watts in DevilTech Devil 9700 DTX) or the GeForce GTX 480M (44.9 – 50.1 watts in DevilTech Fragbook DTX) can't keep their consumption this low. Regardless of this, the battery life for the Eurocom W860CU Cougar was quite disappointing. The weak, 3-cell battery (3800 mAh, 42.18 Wh) stayed on for only 25 minutes in the Classic Test from Battery Eater (max. screen brightness & energy saving settings off). 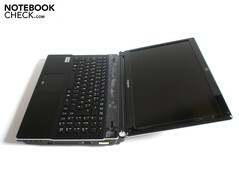 Even in the Reader's Test from Battery Eater, the Eurocom W860CU Cougar couldn't make it past the one-hour mark (min. screen brightness & max energy saving settings). Without a powerful battery no graphics-card-switching technology in place, a notebook with the Radeon HD 6970M will suffer from very limited mobility. All in all, the Radeon HD 6970M shows an impressive performance. AMD's old top model, the Radeon HD 5870, is surpassed in every benchmark by about 50%—a testament to the new model's formidable performance. Even Nvidia's rugged GeForce GTX 480M winds up a whopping 33% behind the Radeon HD 6970M. 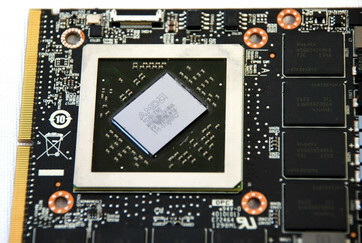 Only the GeForce GTX 485M manages to top AMD's new hard hitter. Nvidia's new crème de la crème processed data almost 12% faster. Since the GeForce GTX 485M was coupled with a speedy Sandy Bridge processor, the Radeon's shortfall here is not written in stone. Paired wit a similar CPU, the Radeon HD 6970M might actually measure up to the GeForce GTX 485M in the end. Besides that, the new model's reduced energy consumption in idle mode as well as its extended list of features—compared to the older Radeon HD 5870—are praiseworthy. The Video Decoder (UVD3) relieves the CPU considerably, and HD3D even allows for the playback of 3D material. However, the Radeon HD 6970M seems better fit for the 17" format: the 15.6" Eurocom W860CU Cougar teetered on the edge of bearable temperature, system noise and power supply during testing. After completing all tests, the verdict is: demanding gamers will find the Radeon HD 6970M to be an extremely powerful graphics card that can smoothly run most games in a high resolution with maximum graphics settings. Only when dealing with few games like Metro 2033 or Crysis, you shouldn't go too crazy with the detail settings if you want a fluid refresh rate. Expensive, energy-consuming, error-prone dual-GPU systems (e.g. GeForce GTX 460M SLI) are only worth it if for those accepting nothing less than perfection. Most gamers, however, will find themselves perfectly accommodated by a Radeon HD 6970M or a GeForce GTX 485M.